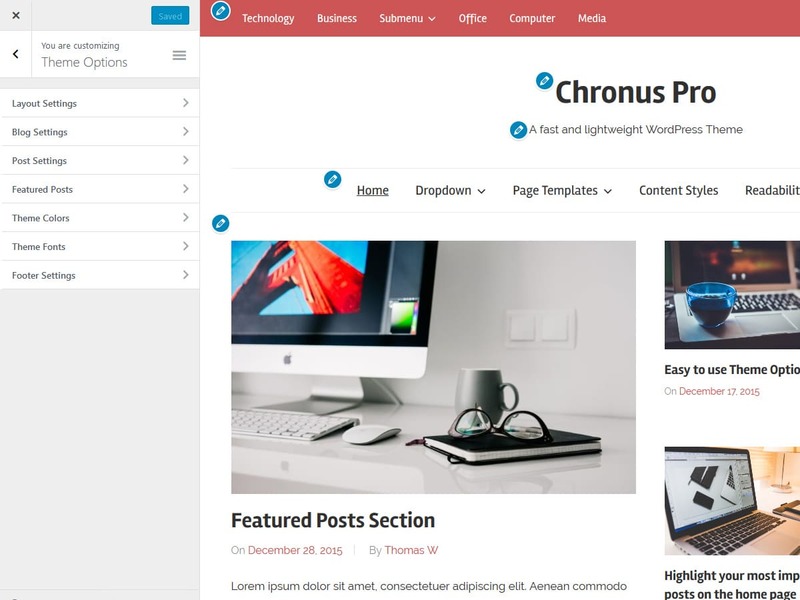 Chronus includes very flexible yet easy-to-use theme options in the Customizer. 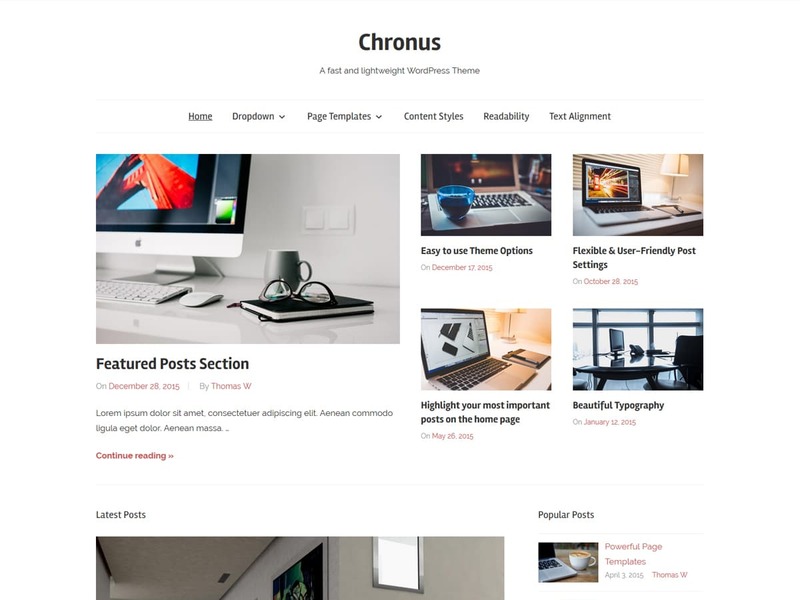 If you need more features check out the Chronus Pro add-on plugin. The add-on extends the basic theme with extra magazine widgets, custom color options, typography settings, footer widgets, and additional navigation menus.